LAFAYETTE, La. 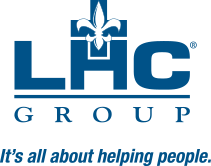 (January 29, 2019) – LHC Group, Inc. (NASDAQ: LHCG) announced today that it has appointed Teri G. Fontenot to the Board of Directors, effective March 1, 2019. Ms. Fontenot, who will serve as an independent director on the Company’s Audit and Clinical Quality Committees, replaces Tyree G. Wilburn, who will be serving on the Company’s Transitional Advisory Council. Ms. Fontenot is currently a member of the board of directors of Amerisafe and was previously a director of Landauer until its acquisition in 2017, serving on the audit and governance committees of both publicly listed companies. Ms. Fontenot is also a member of the American College of Healthcare Executives Board of Governors and the American Hospital Association’s Center for Health Innovation Advisory Board as well as a number of local and state boards. She has also previously served as Chair of the American Hospital Association, Chair of the Audit Committee of the Federal Reserve Bank Sixth District – Atlanta Board, and Chair of the Audit Committee of the Capital One/Hibernia Mutual Funds Board, among others. Ms. Fontenot has served for 27 years in numerous roles at Woman’s Hospital in Baton Rouge, the largest birthing and neonatal intensive care health system in Louisiana and the 16th largest obstetric service in the country. She has been President and Chief Executive Officer since 1996 after having previously served as Executive Vice President, Chief Operating Officer and Chief Financial Officer. Prior to that time, she served as Chief Financial Officer for hospitals in Louisiana and Florida from 1982 to 1991.